We will have a great day of sewing in the Retreat Center with good food, fun and prizes! Call the store to sign up for your spot. We can have 28 QOV quilters. Bring your sewing machine and basic sewing supplies. You can work on your own QOV, one with a friend or start a new one! We have NEW completed blocks from our QOV Block kits program. We also have new QOV Fabric lines that have arrived just in time for this event. 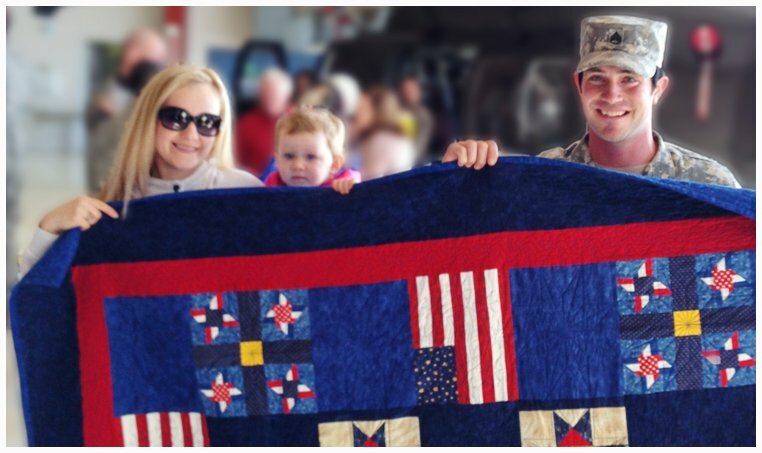 Quilts Of Valor National Sew Day is a national event. If your a QOV member of our Woodside Quilting QOV Group, you can register on line for prizes at a national level.